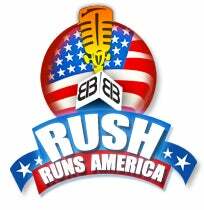 RUSH: This is heartening in a way. Do you remember we had the story earlier this week of the professor at the University of Georgia, Richard Watson, who had implemented a stress-reduction policy? The stress-reduction policy in two of his courses was if you were made nervous or uncomfortable by the grade you got in his course, he was going to allow you to change your grade to something that would not make you nervous. You would be allowed to change the grade and do with it whatever you want so that you wouldn’t feel pressure anymore. Thankfully, some adults have ridden to the rescue here and are acting like adults. “The University of Chicago has made Professor Watson remove a ‘stress-reduction policy’ from two of his courses after facing national backlash for the practice.” I wonder where that “national backlash” came from. Anybody have any ideas or thoughts on that? Did you hear about this anywhere else? They’re gonna let the inmates run the asylum, and this is happening… This is may be an extreme example of it, but this is the kind of thing that is happening all across this country, and it’s been going on for decades now in the form of not keeping score in junior high flag football or softball or baseball if one team is demonstrably better than the other. The idea is not to hurt anybody’s feelings, not to offend anybody, not to make anybody nervous. You know what has to happen for all of that to happen — and I’m shooting off here in a different tangent right now. What has to happen? If you’re gonna have a policy, whatever it is, that seeks to ameliorate those who say they are offended or made uncomfortable, what are you ultimately going to have to do? You’re gonna have to curtail free speech. You are gonna have to. If your policy is, “We can’t stand for and we can’t tolerate people being offended! That is unacceptable. We will not have that happen here on our campus.” Well, if you’re gonna have a policy that nobody should be offended, you have to limit speech! What is it that offends people? We’re talking about things that other people say or do, and this is how the left aims to make it happen. You know, they claim to be all First Amendment on us. They claim to be for diversity, but they’re not. They claim to be for free speech and tolerance, but they’re not. It’s only free speech and tolerance if you say and behave the way they demand. Make no mistake. You know, Niall Ferguson has a piece in the Boston Globe that’s really, really good about this. He says free speech and freedom in a culture doesn’t end by people riding around on horses or in the media and shouting, “Down with freedom! Down with freedom!” That’s not how it happens. The way it happens is the exact way it is happening on college campuses today. You have proponents of diversity, proponents of free speech, limiting it — and telling certain people what they can and can’t say. That’s how you basically end democracy and promote authoritarianism, under the guise of expanding that which you are actually curtailing. It’s a brilliant piece.